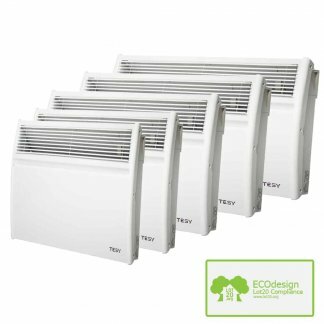 We are a specialist supplier of Tesy Wall Mounted Electric Panel Heaters and offer a large choice of sizes and power outputs. They are flat panel and have a front air vent to direct the heat straight into a room. They make an ideal space heater for most rooms, including lounge, dining room, kitchen, bathroom, bedroom, conservatory, office. 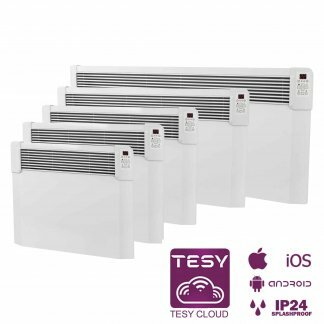 Our Tesy Panel Heaters offer a variety of options: LCD Temperature Display, Built-in Thermostat, Wifi (Home Automation), Splash Proof, Open Window Recognition, Adaptive Start, LOT 20 / ErP Compliant (EU 2018 Heating Regulations). 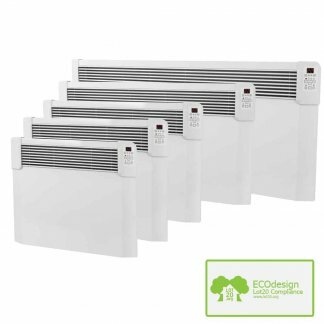 Tesy Electric Heaters are manufactured in Europe and covered by a lengthy 5 year guarantee.